A wickedly funny look at the challenges of new parenthood. Being a new mom is “AHHHH! WHAT HAVE I DONE?” hard. Why are all these tiny clothes so expensive? Who wrote these mind-numbing board books? Will Mommy ever carry a purse again that’s not a diaper bag? And how is she even functioning off so little sleep? 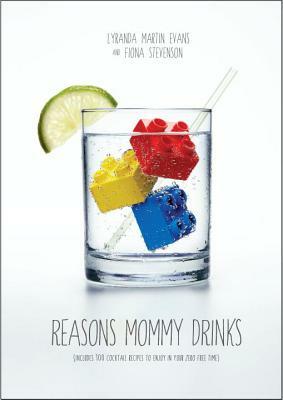 Reasons Mommy Drinks is a fresh, insightful, and hilarious collection of the various struggles faced by new parents—from mommy groups and single-people envy to the end of maternity leave—with a well-deserved cocktail recipe to go with each one. This must-have resource will help sleep-deprived new moms survive the baby years with their sense of humor, if not their lives as they once knew them, intact. LYRANDA MARTIN EVANS is an award-winning advertising copywriter who is currently a Creative Director at one of Toronto's top advertising agencies. She writes and performs sketch comedy, and her former life as a bartender informs the book's delicious drink recipes. FIONA STEVENSON is an award-winning brand marketer who is frequently leveraged as an industry expert and corporate host. A former journalist, she is also a trained improviser, and sketch comedy writer and performer. TOGETHER, they are the creators of the popular blog Reasons Mommy Drinks. They both live and work in Toronto.